iPad is one of the most popular tablets available as of today and you might want to access your files in the cloud server on the move on iPad. 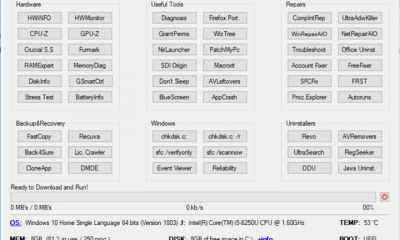 OverTheAir is a simple and easy-to-use freeware tool to view your files in any WebDAV/ Cloud enabled server. 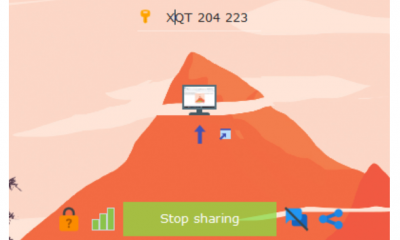 The app gives you freedom to access files in your Mobile Me iDisk, Dropbox, Box.Net or any other WebDAV enabled online file storages. 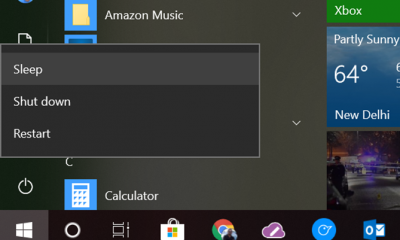 You can also make the files available offline for reading when you are not connected to Internet. You can add any server and login in with the user credentials. You can add any number of compatible servers. A tracking capability to locate the last viewed page allows users to resume where they left off. OverTheAir supports a number of formats such as, Microsoft Office and Apple iWork documents, TXT, HTML, PDF, and others. There is option to favorite any document which means, they will be available for access offline and stored on your iPad. You can also specify the storage space for Favorite items (100MB by default). OverTheAir uses Secure Socket Layer (SSL) for the WebDAV access to protect users’ valuable information, so it can be used even in enterprise. 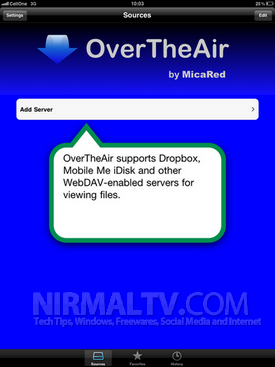 OverTheAir is a simple file viewing solution for Apple’s iOS devices, OverTheAir allows users to view files in cloud-based remote file sharing services like the popular Dropbox, Box.net and Apple’s MobileMe. You can download this free app from App Store.